For many people, the sugary taste of cotton candy has the power to conjure up childhood memories of summer nights at the local fair, playing carnival games and going for a spin on the Ferris wheel. Thanks to the creative flavor crafters behind the top vape juice brands in the industry, there are now a handful of cotton candy e-liquid options to recreate that nostalgic experience. A good cotton candy vape juice captures the sweet, slightly fruity taste of cotton candy, making it seem like you can almost feel the crunch of the sugar-spun clouds between your teeth. When you’re looking for a tasty way to satisfy your sugar craving, fill up your vaporizer with a delicious cotton candy-flavored vape juice and enjoy! DIRECTVAPOR stocks the best cotton candy juices from all your favorite brands, all of which manage to hit all the right flavor notes in their own unique way. Every e-juice in our selection uses premium ingredients to create unbeatable flavor, and you won’t find any disappointing flavor let-downs here. Check out our collection of cotton candy vape juice and find your next sugar rush today! As you scroll through our collection of cotton candy vape juices, the odds are that you’ll notice one thing right away: all the top brands are here and accounted for. DIRECTVAPOR knows that you probably have brand loyalty to a few favorite names and that you may have been burned by giving other products a chance, only to be let down. But when you shop with us, whether you’re buying an old favorite for the tenth time or looking to try something new, you’ll have access to the best brands out there. VaporFi, Propaganda, Juice Roll Upz, and King’s Crest are just a few of the big names offered in our cotton candy e-juice line-up, and we’re always on the lookout for new additions. Hype Mixed Cotton Candy E-Liquid by Propaganda: A diacetyl-free juice that blends blue and pink cotton candy flavors for the sweetest clouds around. Space Jam Particle Y (Particle X): Kicking the traditional cotton candy flavor up a notch, this juice really wows with the taste of blueberry and raspberry cotton candy. VaporFi Cotton Candy: A cotton candy classic that keeps it simple, sweet, and delicious. 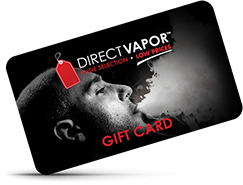 At DIRECTVAPOR, not only do we offer the best prices, vape juice that we guarantee you’ll love, and top-notch customer service, but we also provide our customers with plenty of other benefits. Unlike many other vape companies that nickel and dime you with annoying shipping fees, DIRECTVAPOR offers free shipping with absolutely no minimum. Saving on shipping costs means more money in your pocket for your next vape juice – and everyone can agree, that’s a huge plus. For DIRECTVAPOR, providing the best e-juice prices isn’t enough. 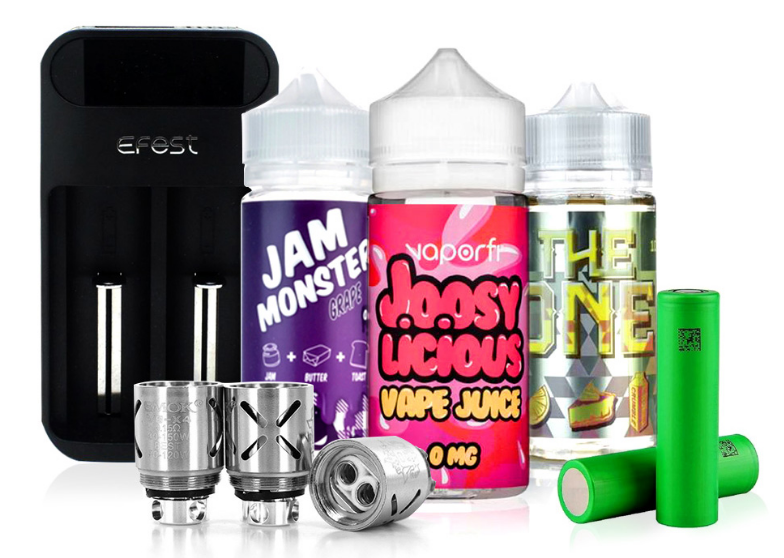 We also are committed to creating a shopping experience that allows vapers to browse the best products in the industry, without having to sift through lame clones and cheaply-made knockoffs. For that reason, we choose to work only with respected brands who have proven their commitment to premium quality. Browse our selection of cotton candy vape juices to find your perfect match.